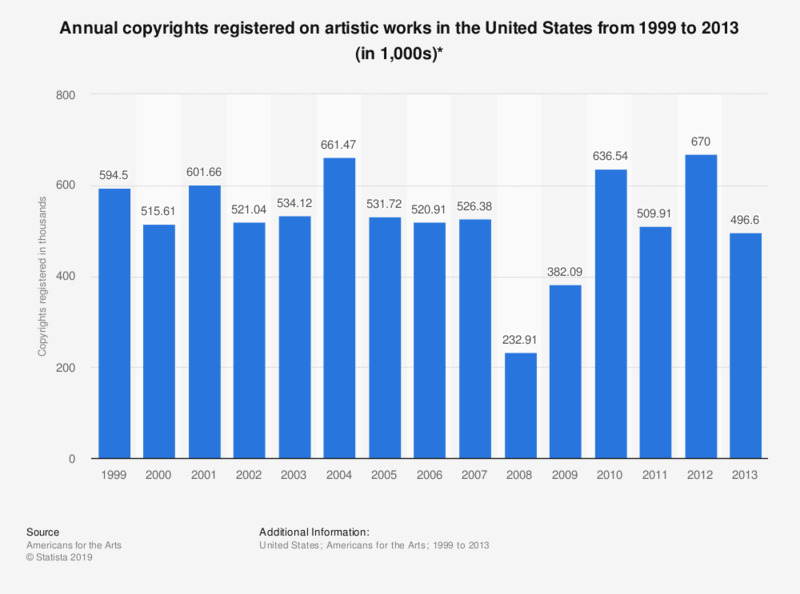 This graph depicts the number of copyrights registered on artistic works at the U.S. copyright office from 1999 to 2013. In 2003, 534,122 registrations were made. * Copyrights registered at the U.S. Copyright Office on artistic work which may include literary, dramatic, artistic and certain other intellectual works. Figure for 2011 is nto available. The data have been rounded to provide better understanding of the statistics. The figures for before 2002 come from a previous National Arts Index edition. Theater & Broadway in the U.S.